Hi, my name is Vivi and I’m a single romance writer. This is not, sadly, nearly as much fun as it sounds like it should be. Dating as a romance writer can have a few awkward moments (like the guys who read your books and think they are a manual for dating you… completely ignoring the fact that my heroines are shape-shifting lionesses who might have different preferences in their mates than I do). The good news is whenever something excruciatingly awkward happens, I can always shrug it off as “maybe that’ll be funny in a book someday” – there is no shortage of good material coming at me in my Quest for Lurve. One thing that I’ve noticed in my romantic misadventures that definitely carries over into my books is that you can learn a lot from a first kiss. There’s no faking chemistry. Either you’ve got it or you don’t. Not saying that it can’t grow or change over time – I believe it absolutely can! – but sometimes you just can’t tell until that first lip lock if it’s gonna be amazing or lackluster to start with. Recently I’d been seeing a long time friend in a sort of not-sure-if-this-is-platonic-or-not dating limbo. I didn’t know whether he was someone I wanted to be really dating or not – until we sort of accidentally kissed (don’t ask how this happens, I later described it to a friend as feeling as if I tripped and landed on his mouth). At that moment everything became clear. I knew. With absolutely certainty. Whammo. We were Just Friends. There was no magic. No spark. Just a sort of bewildered how did that happen hanging in the air. He gripped the nape of her neck, his fingers tangling in her hair as he pulled her toward him, his other hand cupping her jaw, tipping her face up to meet him as his lips closed over hers, firm and fierce and demanding and—oh my God, so exquisitely perfect. She’d been kissed before. Of course she’d been kissed before. In twenty-three years as the pride’s resident flirt, she’d kissed dozens of guys in a sort of playful almost-platonic way that was all the other shifters would dare. She’d even gone a bit further with a few humans who didn’t know Roman to be afraid of him—until her instincts had reared up and put a stop to it. She knew perfectly well what lips were for, thank you very much. But all those kisses. All those affectionate busses and eager lip locks. They had never been this. The rest of the world simply melted away until there was only Santiago. He nibbled, sucked, coaxed and teased until she opened for him and his tongue stroked into her mouth, a question she answered with her own, angling her head for more. She’d ceased to exist outside this kiss. There was only his heat, his strength, the pull of his body, and her need. God, her fierce, impossible need for more of him. She wrapped an arm around his waist, pulling herself against him so their bodies aligned, a gasp escaping her mouth at the feel of all that delicious heat. Her other hand slid up his chest and around to palm the back of his neck, holding him there in case he had any rogue thoughts about pulling away. Away wasn’t allowed. Only closer, harder, deeper and more. And he was very good at those words. Sometimes a kiss can change everything. Have you ever had a paradigm-shifting kiss? Do you love to read about those whammy moments in books? Thanks so much for having me today, Delilah! Lila Fallon, the Lone Pine Pride Alpha’s only daughter, has been betrothed since childhood to marry her father’s chosen successor. The match is designed to maintain peace by shoring up any cracks in pride solidarity. 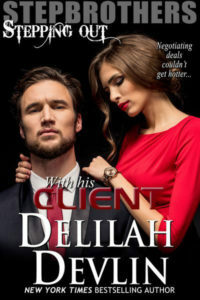 She’s always known she would do her duty—she just never expected to meet a man who would tempt her to throw it all away. As a black panther, Santiago Flores couldn’t be a less suitable mate for the Alpha’s purebred lioness daughter. But that doesn’t change the fact that for every one of the five years he’s been with the Lone Pine Pride, he’s been head-over-heels in love with her. And when the Alpha announces that Lila’s indefinite engagement is about to end in a very definite marriage, Santiago is through holding his peace. From their very first kiss, Santiago rattles Lila’s neatly ordered world. But can a lioness who’s always lived to please everyone else risk everything to please herself? Warning: This book contains tempting lone-wolf jaguars, lionesses who long for fairy tale endings, arranged marriages, tangled emotions and a pride full of trouble. 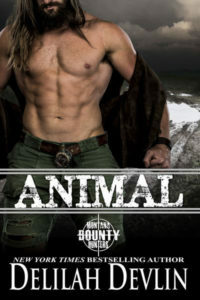 Vivi Andrews is an award-winning paranormal romance novelist with a travel addiction. Born and raised in Alaska, she currently lives in Manhattan when she isn’t bouncing around the globe. Whether at home or on the road, she’s always at work on her next happily-ever-after. For more about her books or the exploits of a nomadic author, please visit her website at www.ViviAndrews.com, or find her on Facebook and Twitter. This entry was posted on Wednesday, June 11th, 2014 at 6:00 am in General. Tagged: Guest Blogger. You can feed this entry. Both comments and pings are currently closed. Sounds like a great read! Loved the excerpt. A kiss is definitely something that can hint of chemistry, as you mentioned is there or is not. I had experienced kisses that left me thinking UGH what was I thinking, also the ones that curled my toes and didn’t want to come up for air was that good. I love to read about the latter, where the heroine forgets the world around her. Loved the excerpt. I love what I have read so far. Paranormal romance is intriguing and kisses that curl your toes. LOL. Don’t you just hate it when your one-click buying finger seems to have a mind of its own? 🙂 Happy reading, Barbara! Enjoy!